MMA Ratings: UFC Fight Night 84: Where Does Anderson Silva Go From Here? UFC Fight Night 84: Where Does Anderson Silva Go From Here? The main event of UFC Fight Night 84 could have gone a lot differently for Anderson Silva. 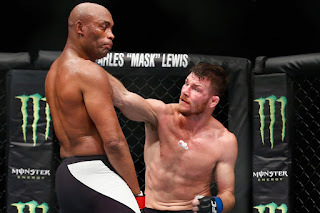 Near the third round of his "Fight of the Night" with fellow veteran Michael Bisping, Silva badly rocked Bisping with a knee and started bludgeoning him against the fence. Silva appeared to have finished the fight, and got up on the top of the Octagon fence celebrating. He thought he had his first win since 2012. Only one problem: Bisping had been saved by the bell, and referee Herb Dean didn't stop the fight, meaning the action had to go on. Bisping had already won the first two rounds, so Silva needed to win the last two rounds or finish Bisping cleanly to get the win. Instead, he lost the fourth round -- due to an adrenaline dump, maybe? 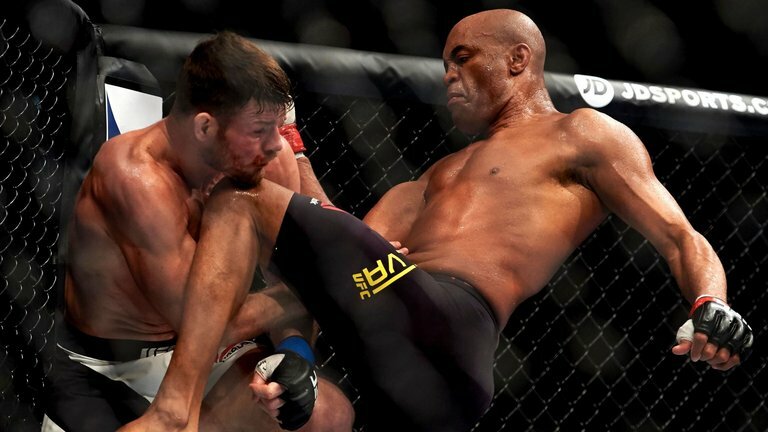 -- and while he attempted to make a comeback in the fifth, it ultimately wasn't enough, as Silva ended up losing a unanimous decision, 48-47 across the board. For a fighter who was maybe a second away from a huge TKO win, losing a close decision like that must have hurt. Instead of getting back in the win column with a knockout over the top 10 Bisping, Silva now has another loss on his resume. After going the first 16 fights of his UFC career undefeated, Silva is now 0-3 with 1 No Contest over his last four fights. In those bouts he's been knocked out by Chris Weidman, had his leg broken by Weidman, had a decision win over Nick Diaz overturned due to a PED test failure, and now lost a decision to Bisping, a fighter who Silva would have steamrolled just a few years ago. It's been an incredible fall from grace for the former longtime UFC Middleweight Champion, but when you think about it, is it really that shocking? Silva has over 40 fights in his career, he's also 40 years old, his body is breaking down, his chin is going, and he got busted for PEDs, the sign of a desperate, aging fighter. Yes, he's one of, if not the greatest, fighter in MMA history. But this a young man's sport, and Silva's best days are far behind him at this point, making you wonder what's next for him in his career. It's clear Silva is no longer a viable title contender at 185 lbs, but that doesn't mean there aren't exciting matchups for him that can still be made. A rematch with Vitor Belfort, should he lose to Ronaldo "Jacare" Souza at UFC 198, would also make sense for Silva. The two first met at UFC 126, and the fight ended in one of the sport's all-time greatest KOs when Belfort was knocked out cold with a Silva front kick, but there's no doubt fans would watch the rematch, and it would be a huge fight if done in Brazil. If Weidman loses to Luke Rockhold at UFC 199, the UFC could do a trilogy match with Silva. Their first fight ended with Silva being KO’d, but the second fight ended in a leg break, and it wouldn't be above the UFC to run that fight again. It's probably a bit more than Silva can chew at this point of his career, but there's no doubt the Brazilian would love to avenge his losses to Weidman. What about Georges St-Pierre? The former longtime welterweight champion and Silva were rumored to fight each other for years, but the fight never happened. 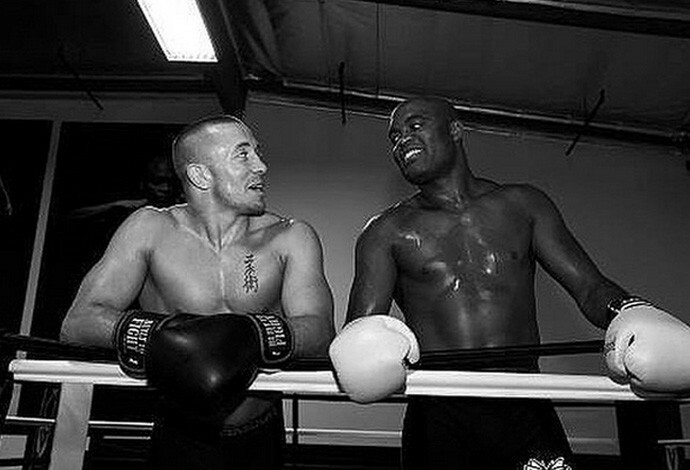 If and when GSP returns to MMA, this is the kind of fight that could get him excited to come back to the Octagon, and although both men are faded in their careers now, it would still be a big-money fight. There's also the possibility Silva moves to 205 lbs. Sure, Jon Jones is a pipe dream at this point, but fights against guys like Mauricio "Shogun" Rua and Rashad Evans shouldn't be ruled out at all. Neither should fights at 185 lbs against former light heavyweights like Lyoto Machida, or a rematch with Dan Henderson. And call me crazy, but a superfight with Conor McGregor cannot be ruled out at this point either. Although he is no longer a title contender, there are still a lot of big fights out there for Silva, and it will be interesting to see what the UFC decides to do with him going forward.